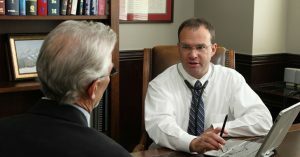 I invite you to learn more about Flatiron Premier Medicine Services – the first concierge practice that serves Boulder, Broomfield, Louisville, Lafayette, Superior, Erie and Westminster – through my Web site or call us at (303) 327-4971 with any questions. We are all familiar with the terms “personal trainer” and “personal financial advisor”. Now there is a new term in health care… “personal physician”. Concierge medicine is a retainer-based medical service where the practice is limited to a smaller number of patients which creates an environment for a superior, personalized health care experience. Invest in your most valuable asset – your executive team! Good health is paramount. For busy executives it may be difficult to make staying healthy a priority. That is why Flatiron Premier Medicine designed our Executive Care Program to provide a customized, attentive approach to health and prevention.